We at Gerry and Lheen wishes you a Merry Christmas and a Blessed New Year to everyone. 2012 has been a great year for our business. There maybe some problems but though the grace of God, we manage to stay in focus. This coming 2013 we envisage to have a higher presence online to serve our customer who are out of Taal town. We believe that informing people about one of the best thing that visitor can be found in Taal is a great thing to do. If people cannot come to Taal to buy our products we will transport the products to you. As of this time we can now manage to transport to Manila Area. It is our vision to transport the Best Tapa from Taal to all over the Philippines. God Bless You all and Merry Merry Christmas and Happy New Year. Taal Batangas is known for being the Heritage town of the South. The place is popular for having old houses and great beach resorts. In fact we have just celebrated our town’s 440th founding anniversary. The celebration was named El Pasubat. El Pasubat 2012 aims to promote other specialty from Taal Batangas, such as Empanada, Longganisa, Panutsa, Suman, Balisong, Tapa and more. We wish to inform our readers that Tapa and Longganisa is our specialty. 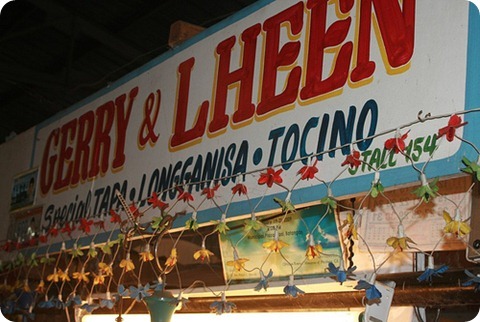 Our store name is Gerry and Lheen special Tapa and Longganisa could be found at the Public Market of Taal Batangas. 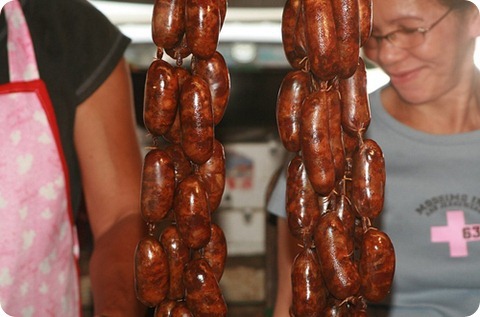 We could say that one of the best food to try out while in Taal is the Tapa and Longganisa. 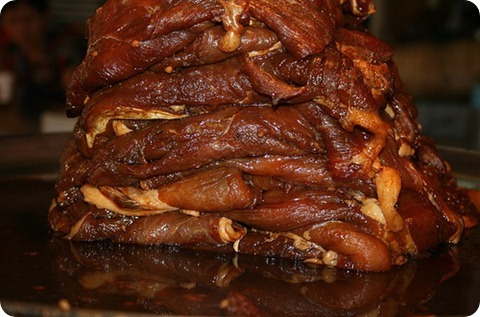 Tapa is made of marinated pork. Rest assured that you will love the taste of our product.